This is so cute. Love the hair. Thanks for joining our "Spooky" challenge at Great Impressions. 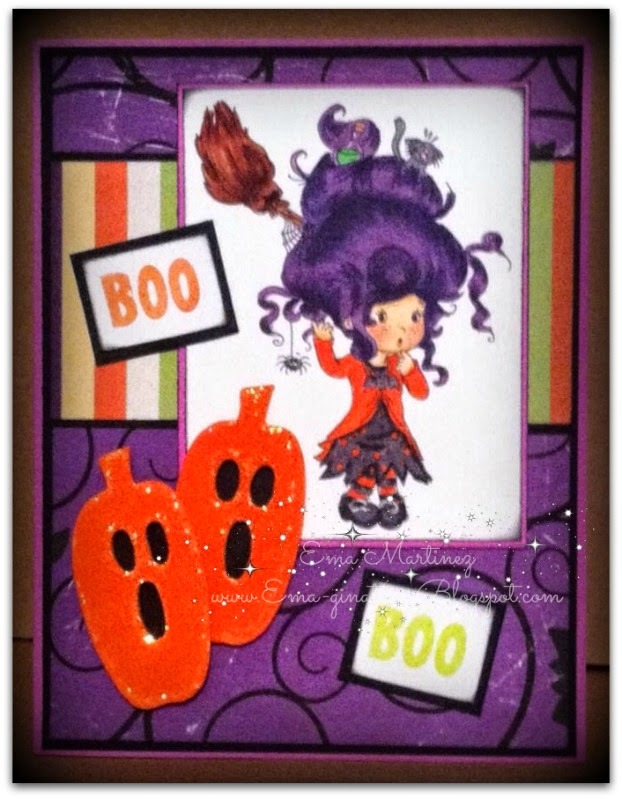 You have used such an adorable stamp for your card and colored it so beautifully! Love these colors. Thank you for joining us at Pile It On and don't forget to check on Wednesday, whether you are a lucky winner.